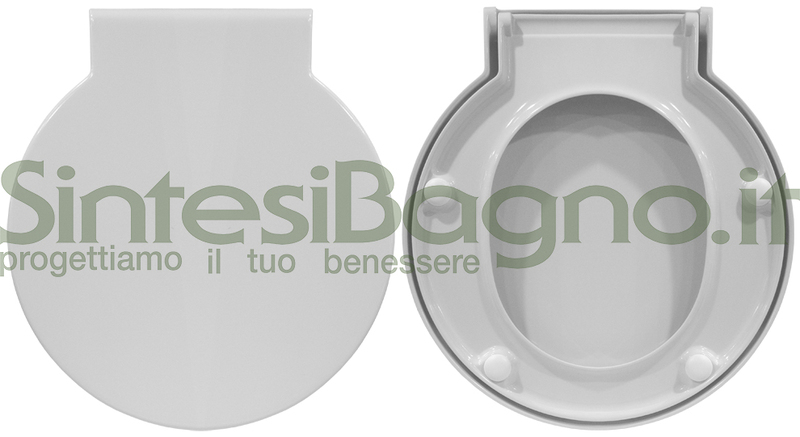 During the last years, in the field of the product called “toilet seat” (manufacturers, contract workers, suppliers, retailers), a new terminology, to identify a specific kind of product, has become popular. 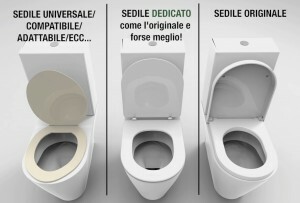 It did not exist before: the dedicated toilet seat! 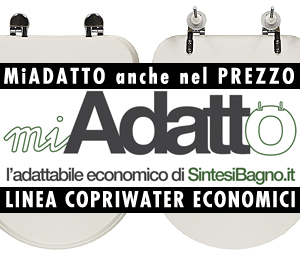 This kind of description has been “conceived ad hoc”, and for the first time it has been adopted by one of the founders of SintesiBagno.it® (European leader in toilet seats on line selling) in order to indicate that kind of toilet seats that are created on the jig of the original toilet, and that are perfect for the kind of toilet they are “dedicated” to. 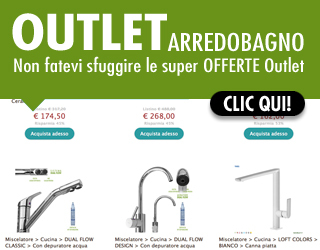 We got in touch with the company, located in Verbania, by telephone for a short interview, in order to have more details on the terminology and on its applications. Question: Where does the idea of this definition come from? 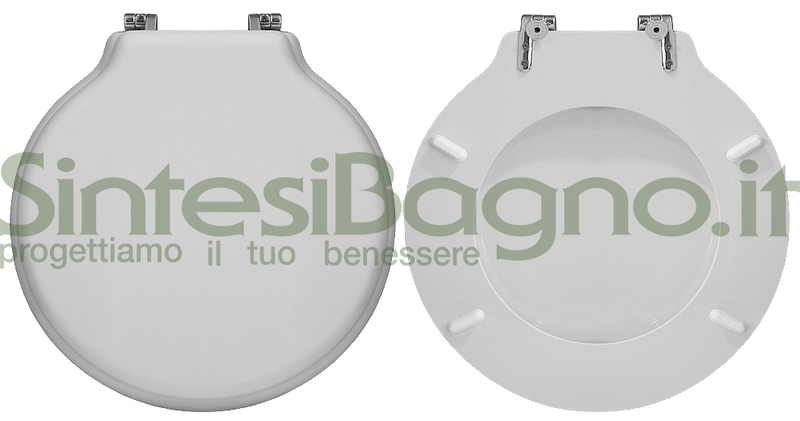 SintesiBagno: We were looking for a word that could explain, in a very clear way, to the user/client that this toilet seat is not the original product of the ceramic factory (Ideal Standard, Pozzi Ginori, Cesame, Dolomite, Flaminia, etc. ), but an equally perfect solution, or even a better solution, sometimes, than the original product! Q: So, can all the toilet seats, that many companies and retailers have in their lists and catalogues, be called “dedicated”? S: Absolutely not! The selection of the “dedicated” products has occurred over the time, thanks to our research in this field and to our experience. “Dedicated” overcomes also its meaning, and contains a series of added values. In practical terms, in our on line catalogue we offer toilet seats that are perfectly “dedicated”! The selection has occurred gradually, analysing the different proposals of the manufacturers, comparing the same models produced by different companies, testing them on the toilets…in order to identify the best one, so that, in many cases, it turns out to be better than the original! Basically, we do not offer those products that our competitors define adaptable, compatible, universal… If we want to be a bit ironic, but not too far from the reality, we can say that we have a tailor’s shop for toilet seats! Q: We have noticed that many manufacturers have inserted the word “dedicated” in their catalogues and lists. Do you feel involved in the matter? S: Well… Of course, we are proud that our world (manufacturers, competitors, etc.) looks at us and considers that our choices are right and worth imitating (to avoid saying “copying”). Of course, if it was possible to copyright the new meanings of the words, we would do it and we would earn quite much royalty. Seriously though, we are interested in the fact that competence in our work is recognised by the customers who want to buy a good quality and solid toilet seat. Considering the success of our e-commerce and the feedbacks from our customers, I believe that we work properly. We gladly DEDICATE our time to our customers.